The Shaw Prize Award Presentation Ceremony 2013 will take place in Hong Kong on Monday, 23 September 2013. The Honourable CY Leung, Chief Executive of the HKSAR, People’s Republic of China has kindly consented to officiate at the ceremony. 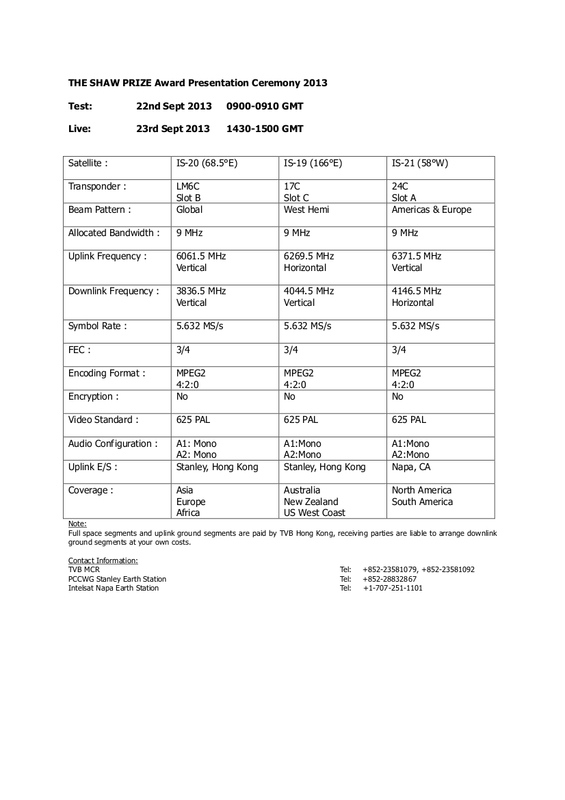 A 5-minute segment will be uplinked via satellite transmission at Hong Kong time 2230-2300 (GMT 1430-1500). Photos of the ceremony will also be uploaded onto the website www.shawprize.org at Hong Kong time 2230 (GMT 1430) from 23 September 2013 onwards.